Discover the joys of lakeside living in this fun-loving community about 12 miles north of Charlotte. Bordered by Lake Norman, Huntersville offers a spectacular array of outdoor activities, neighborhood eateries, and housing options that range from highly coveted waterfront homes to swanky apartments. It’s one of the fastest-growing suburbs in the United States, with a population of more than 52,000. The presence of major employers like Rubbermaid, Wells Fargo, and Bank of America give residents stellar career opportunities. A strong sense of community makes people stay for the longterm and likewise attracts new arrivals looking for a place to settle. Forbes ranked Huntersville 2nd among “America’s Best Places to Move” in 2009, while Movoto named it one of the “11 Best Suburbs for Living in Charlotte, NC” in 2016. 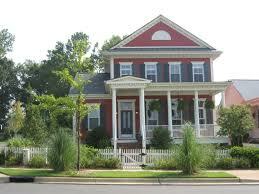 The housing stock is comprised of single-family homes, townhomes, and condos. Lots and vacant land are available. Farms and rural properties with equestrian amenities like barns, wash stalls, tack rooms, riding trails, and pastures are also up for the taking. First-time home buyers have a good mix of resale’s and new construction homes to choose from. Ranch and Cape Cod are prevalent architectural styles. Waterfront homes situated along Lake Norman are some of the most sought-after residences in the community. These homes offer unobstructed views of the water. Outdoor spaces like elevated terraces, balconies, and wraparound porches will give you a heightened appreciation for the area’s scenic beauty, while private docks and deeded boat slips give you quick access to the lake. Huntersville’s luxury homes are prized for their quality. These homes usually have four bedrooms or more. Gleaming hardwood floors, granite countertops, custom cabinetry, fireplaces, and plenty of natural lighting are common features. Meadowbrook Farms, Torrance, and The Pavilion are some of the town’s sought-after luxury enclaves. ●	Lake Norman – Reconnect with nature and enjoy an array of outdoor activities here at Lake Norman. Go fishing, kayaking, or paddle boating. Book a charter tour orhang out with your friends on your own boat. Stroll along the fantastic shoreline and admire views of the lake and the surrounding parks and houses. ●	Skybrook Golf Club – Widely regarded as one of Charlotte’s finest golf courses, Skybrook’s John LaFoy Championship course boasts rolling fairways, dramatic elevation changes, and panoramic views. The club’s PGA professional instructors offer individual and group lessons. The on-site restaurant, Champions Grille, serves fresh salads, sandwiches, and burgers. ●	Carolina Raptor Center – Explore the center’s quiet trails and aviaries and get the chance to learn about raptors. Have a look at the hawks, eagles, owls, and vultures that call this place home. Drop by the gift shop and check out the souvenirs on display. ●	Discovery Place for Kids – This family destination provides a fun learning environment for the young ones. Explore fascinating exhibits, work on a project at the craft room, or play cashier at the miniature cafe and grocery store. The water station, where kids can pour water and float boats, is one of the most popular attractions. ●	Historic Latta Plantation – Go on a tour of the grounds, outbuildings, and the small plantation house that make up this historic farm. Tours begin with an optional 15-minute video. The site’s rustic charm makes it a popular events venue for weddings and birthdays. For more information on Huntersville, visit the town’s official website.